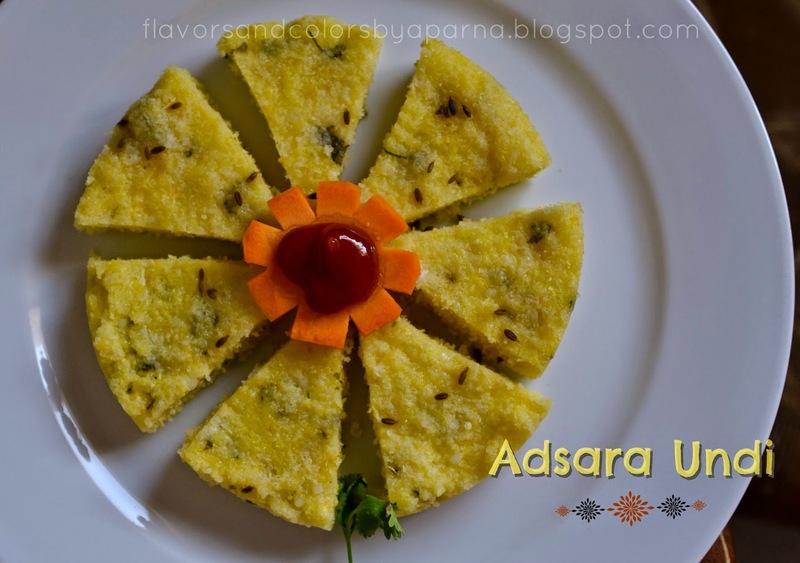 The recipe for adsara undi has been inspired from one of my fav blog for konkani recipes and that's Konkani Khann Anik Jevan. Undis/Oondis are favourite at my place and I have always followed the only recipe passed to me by my mom/aunt which I have blogged here. Since the time I read yet another recipe by Usha akka on KKAJ, which used plain cumin seeds to flavor rice coconut mixture, I was keen on trying it. 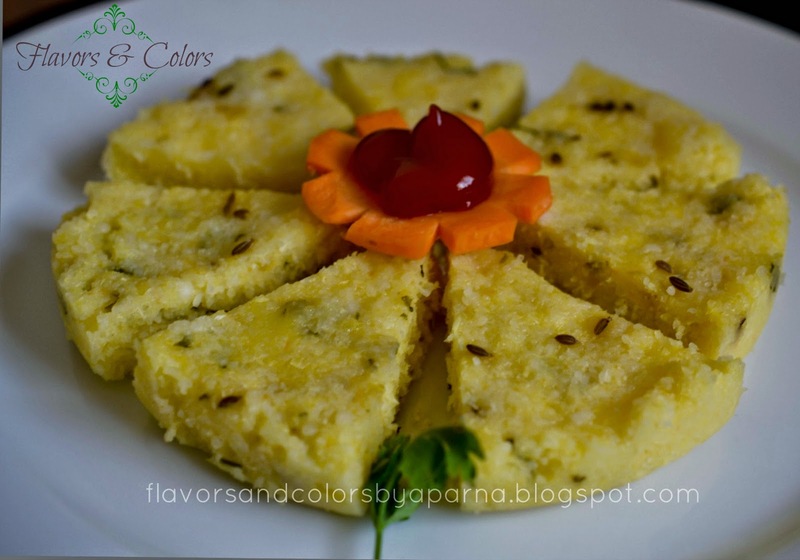 While wanting to prepare this dish for kids tiffin I decided to add grated carrot as well as coriander leaves and make this snack nutritious as well as colorful for kids. Wash, rinse and soak dosa rice for 3-4 hrs. Now used very little of drained water to grind rice and coconut into a coarse paste. Add grated carrots and turn it once. Add cumin seeds and finely chopped coriander leaves. Mix it well. Grease a vessel with oil. I used this dhokla stand to prepare them. Pour the batter in greased vessel and steam in a steamer or pressure cooker without whistle for 12-15 mins. Swtich off the flame, allow it to cool. Demould it from the vessel and cut into desired shapes. Serve it with dalitoy or any accompaniment of your choice. Note: Plz excuse me for the clicks this time,, both taken around 6.15 am - mad rush morning as well when sun is on opposite side of our house. Adsara undi looks excellent. i can finish that whole plate in no time.